Plantation O.F.T.D. Rum is our take on that classic style of overproof rums. And not just ours: to join him on the quest to get the blend and the proof just right, Alexandre Gabriel scoured rum joints around the world to find six grizzled old salts who knew which end of a rum bottle was which. Together they came up with this blend of Guyana, Jamaica and Barbados rums, bottled at 69 proof degrees. O.F.T.D. 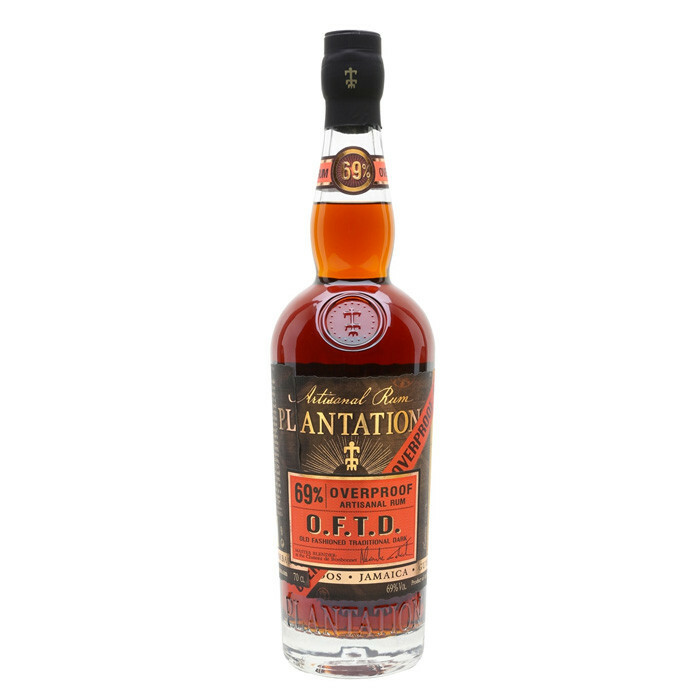 officially stands for Old Fashioned Traditional Dark but if you ask any of the seven collaborators who were in the room when this blend was born, they’ll tell you it really stands for something else that was exclaimed when the winning rum was tasted. Nose: Intense and very precise notes of coffee, orange, plum, jam and truffles. Palate: It bursts with caramel cream, chocolate and vanilla notes. It continues on with cinnamon, raisins, nutmeg, oak and molasses with smoky accents. Finish: Long and lingering with dark chocolate, clove and caramel.